Ferrari set the benchmark in Bahrain after showing strong pace during Friday practice. The Italian team sent warning signs to their rivals, with both cars finishing in the top two in both sessions. Both drivers were closely matched on Friday, with Sebastian Vettel just ahead of new recruit Charles Leclerc in FP2, although the Monégasque had topped the times in FP1. It was an impressive day for the Scuderia, who are looking to bounce back after a dismal opening race in Melbourne, finishing nearly a minute behind their Mercedes rivals. Mercedes could not match Ferrari’s pace, with Valtteri Bottas ending FP1 third fastest and nearly a second down on Leclerc’s fastest time. Despite FP2 providing representative conditions for qualifying and the race, Mercedes were still off the Ferrari pace, with Lewis Hamilton their nearest challenger and six tenths down on Vettel’s time. 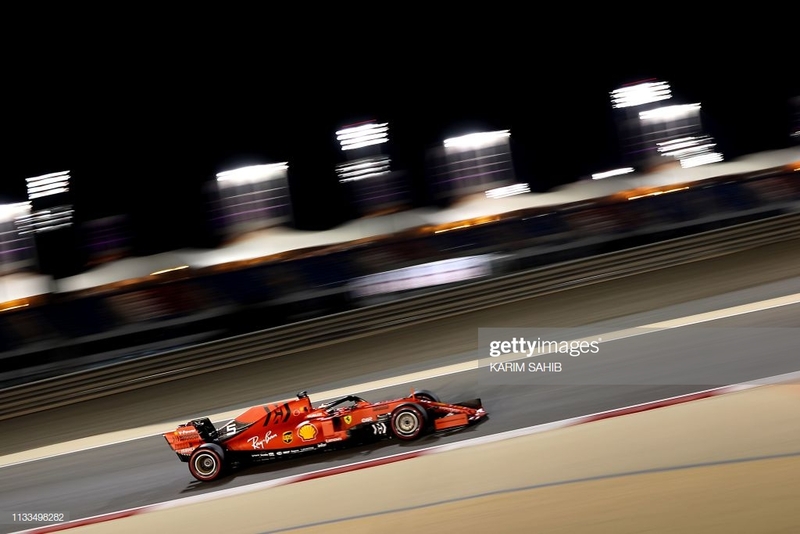 However, Vettel had a spin during his long run on the exit of turn two before recovering; with Kimi Raikkonen also caught out at the same corner. Red Bull, who will be aiming to get their second consecutive podium using Honda engines, were also off the pace during practice, with the team over a second down on Ferrari during FP1. The team remained off the pace in FP2, with Max Verstappen only going sixth fastest and Pierre Gasly down in 14th. McLaren ended Friday practice strong, ending FP1 as best of the rest and setting strong pace in FP2. Renault also looked strong, with Nico Hulkenberg finishing fifth fastest in FP2, with his team-mate Daniel Ricciardo down in 15th. Ricciardo struggled to find his form on Friday, with the Australian only finishing 11th during FP1. Haas and Toro Rosso also showed good pace in practice, with the times closely matched between the midfield teams in FP2. Williams remained off the pace, with both George Russell and Robert Kubica slowest in both sessions.